Sony has stuck with the same design language on its phones for a long time now, but it sounds like the company is finally going to change things up, with a company executive saying as much. He didn’t join the dots and say that this flagship will sport a new design or that this new design will include the likes of a bezel-free screen, but both of those things seem likely. Bezel-free looks are the new "in" thing and if Sony wants to keep pace with rivals it would make sense to adopt a similar design, unless it has something completely different up its sleeve in an attempt to stand out. Either way, news that the current OmniBalance design is on the way out is welcome. 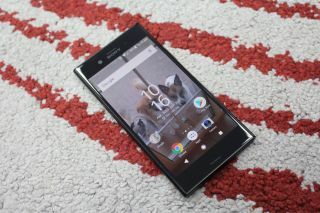 With Sony’s phones all looking largely similar it’s hard to get too excited about new models, and in our recent Sony Xperia XZ1 review we criticized the design as dated and bezel-heavy. If Sony’s next flagship does sport a new design we shouldn’t have long to wait, as Sony typically launches multiple flagships each year, with the next one likely to land at MWC 2018 in February.